Itchy, dry, sore hands. For years in the winter month and early spring the skin on my hands would become very red and painful. 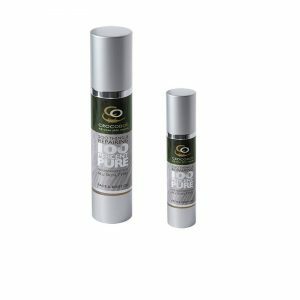 CrocodOil Pure is the answer. My hands have become a real problem over the years. With the weather being so changable my skin doesn’t seem to be able to cope as well as it did when I was younger. When I was introduced to CrocodOil my skin was in quite a state and out of desperation I decided to give it a go. 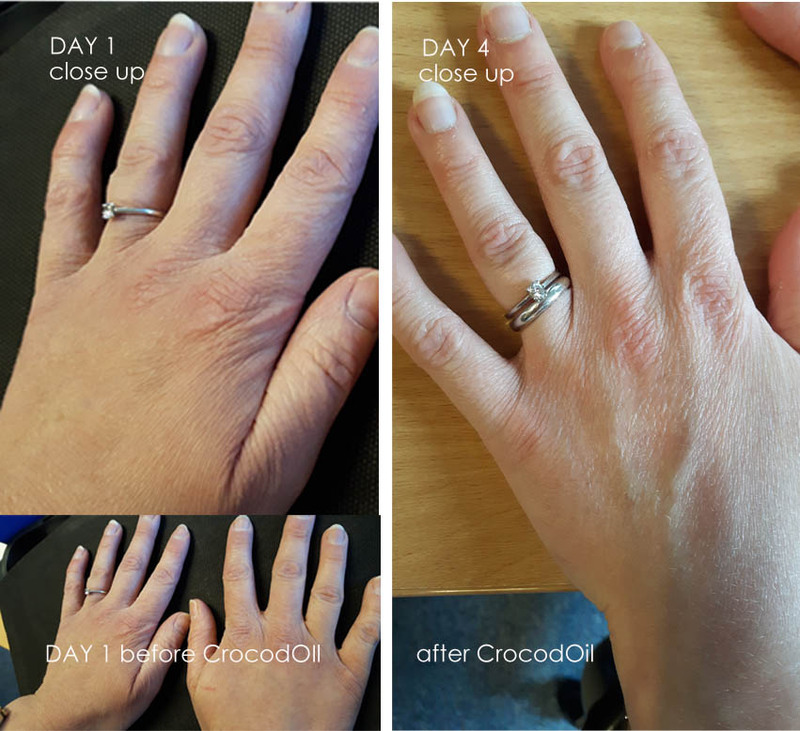 It didn’t take long for CrocodOil to make a difference. Day 1. Hands Itchy, dry and looked tired and aged. From start to finish I used the oil a few times a day. Especially last thing at night and during the day after a I washed my hands. Soaps and detergent tend to strip the moisture out of my skin. 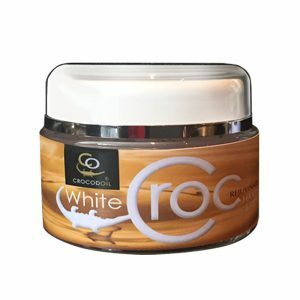 CrocodOil ‘Pure’ is quickly absorbed by the skin and left my hands feeling soft and supple. Day 14. My hands are fine once again. My skin still reacts to the weather, only now when the problems start I quickly apply a few drops to my hands and the problems seem to disappear quickly.